What an interesting sounding book. The summary alone had me interested but your review makes me think I need to read which makes it all the more frustrating this is an oz release which hasn't made over this way as of yet. I know it was available on The Book Depository but seems to be out of stock unfortunately. It's such a wonderful read. Let me know if you're interested in a Kindle copy, I'm pretty sure I'm able to send as a gift from the Amazon store. It's gorgeous isn't it! I really enjoyed it. My only complaint is that I wanted more and could have benefited from a few extra chapters or a second narrative from Aleida's point of view. I love stories that are steeped in folklore so this one really appeals to me. Elodie and Aleida sound like great characters too. They're wonderful but I loved the local folklore sprinkled throughout the narrative. I hope it's explored further in the next installment. It has such a dark, whimsical feeling. Wow this sounds so good! I hadn't heard of it before reading your review, and now of course I want it! (So sad that Book Depository doesn't have it- it may one of these days though, sometimes takes awhile!) Fabulous review, this sounds like something I'd really enjoy! Yeah, it looks as though it's out of stock so hopefully they have some more arriving soon! Even at 360 pages, I flew through it pretty quickly. It's such an easy, really entertaining read. *throws hands up* Hell yeah to independent women seizing their own opportunities and not needing a man to define their self worth! Elodie and Aleida sounds like a kickass pair, regardless of how different they are to each other, especially based on their own histories. I'm excited to pick up this book and give it a go — so glad to hear you loved it Kel! You'll really enjoy this one Joy, such a quick yet entertaining read. I was thrilled when I realised there was no romance, not that I don't enjoy romance but this one was all the more stronger for focusing on female independence. Ooh I really need to read more books with witches. This sounds like a really beautifully written book, and I think I'd love the character of Elodie. I love that her and Aleida aren't that interested in or distracted by men; it's nice to hear of a book that focuses MORE on women's independence than a romance. Here here Lauren. I felt the same way. I love when a narrative doesn't need to rely on a love interest to further the protagonist. Sounds like a pretty interesting read Kelly. Plus I love independent female leads! You'll really enjoy this one Vanessa, such a brilliant read. I'd love to see what you think of it! I was sold on the characters. I love a good romance, but I adore female characters who don't particularly need the love interest. The atmosphere sounds great; I hope this is available internationally! From what I've seen, it's on the Book Depository but out of stock at the moment. 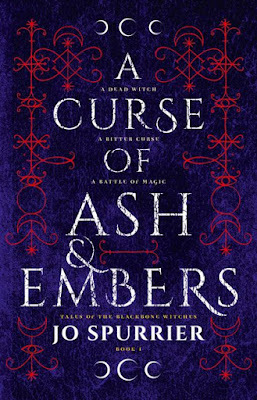 Such a wonderful read Amber, I just cant get enough of books with witches! I don't think I've heard of that one Ailyn, will have to check it out! Okay fave I see you with the song titles! lol. This actually sounds really good and it's a bit refreshing to see that the characters aren't so stuck on pursuing a relationship, which is what normally happens in YA. Yasss to independent queens! 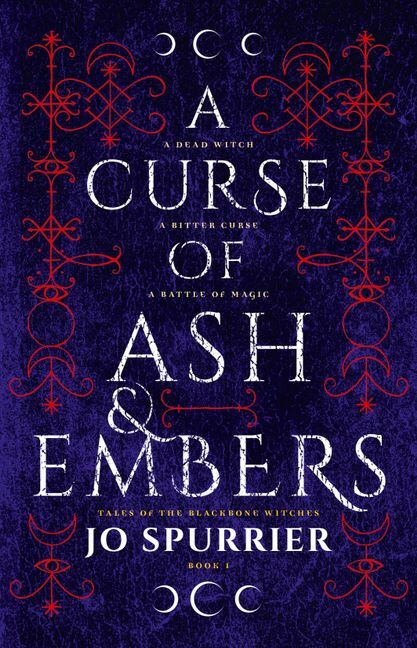 I've been in a fantasy mood as of late, and I think I want to pick this one up to hopefully read next month. Amazing review as always my sugar plum! Is it really you? Are my eyes deceiving me? I love a passionate romance but all too often it overwhelms the storyline. This was brilliant though There's scope to introduce a relationship within the series but I'm thankful it wasn't part of this narrative and we experience the characters as strong individuals. It's beautiful isn't it! Such a brilliant read, would love to see what you think of it!